Another set of magazine reprints offered through Shelby American in 1965. The one on the left is from Sports Car Graphic. 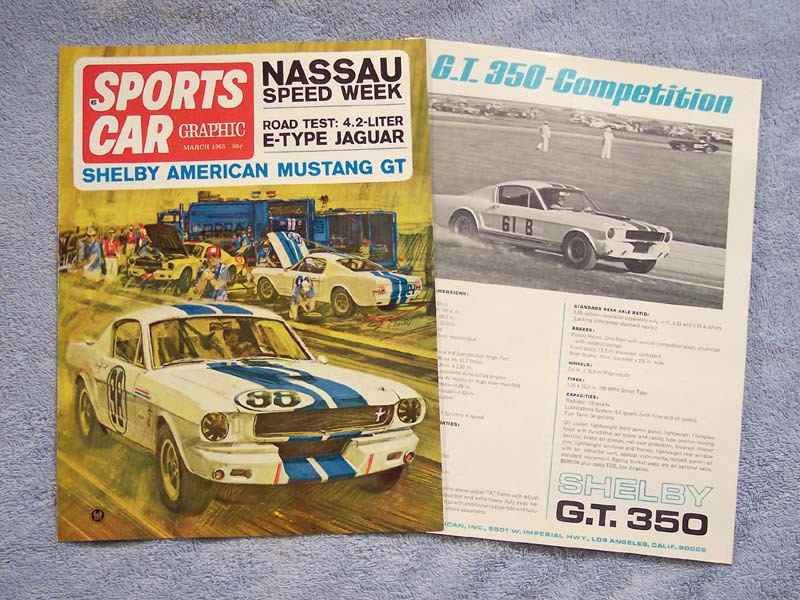 The one on the right is also known as the R-model brochure but was reproduced by the March, 1965 Sports Car Graphic as a factory flyer. This was one of the first magazine tests pertaining to the new GT350.